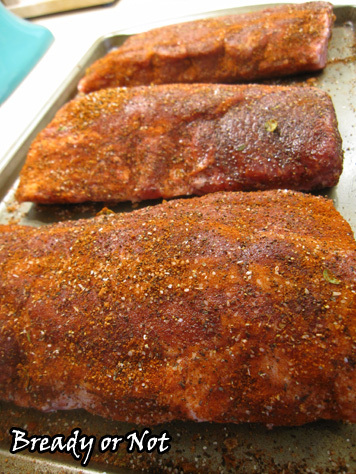 Today I’m providing my personal favorite, tested-a-gazillion times rub recipe for pork ribs. 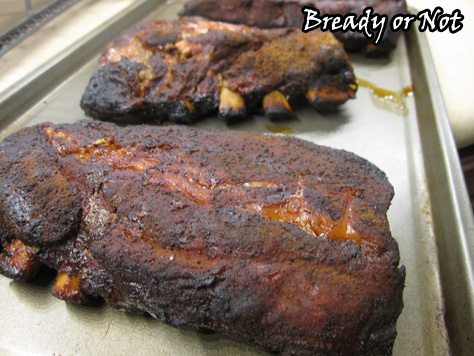 How you cook the ribs is up to you. 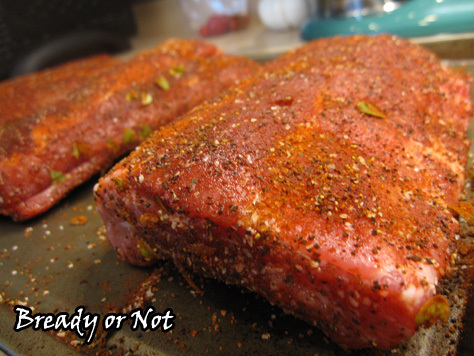 My husband has a smoker, so he smokes these things for hours for delicious, succulent results. 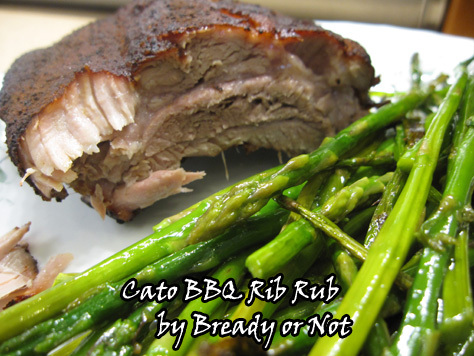 However, using this rub, you could barbecue ribs on a grill, or bake them in the oven. The choice is yours! 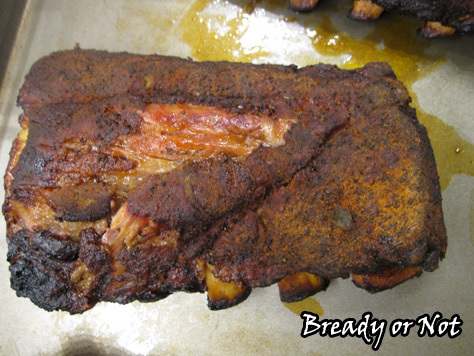 The amounts stated in this recipe will cover about 5 pounds of meat. If you have leftover mix that hasn’t been in contact with raw meat, jar it and save it for later. You can also double or triple the recipe with that in mind. I have made this with several types of paprika. I favor smoked paprika, but all kinds worked well. I have also made this with fresh oregano and dried. You could certainly substitute or add other herbs, too. 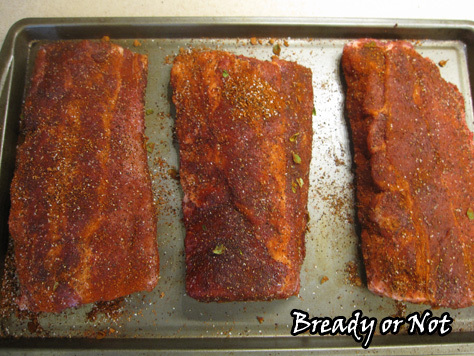 Whenever I find ribs on a good sale, we use this recipe. It’s one we often make for when company comes over, too. Everyone leaves full and happy!